Living in North America offers state of the art medical care within our borders. Western medicine has made great advances in helping people get better. However, I think Eastern medicine/ alternative medicines and options like acupuncture can also play a major role in overall health. A combination of the two can be beneficial. Healthy people are are better at creating wealth by focusing on generating income and reducing their health care costs. In the beginning of 2017, I have made a conscious effort to listen to my body, work out regularly, eat well and have a balanced work life (as much as possible). Part of this included signing up for spin and hot yoga classes, going for regular deep tissue massages and trying out alternative options to western medicine like acupuncture. I am not a health care specialist and by no means am I providing professional advice. However, I have seen the immediate benefits that acupuncture and Chinese medicine (herbs) has had on my overall health and well-being. Whether you use Eastern medicine for regular maintenance of a healthy body (like myself) or to treat a specific disease or disorder, there are benefits to both. Don’t take my word for it, the World Health Organization (WHO) has seen the proven benefits of Eastern treatments like acupuncture on various diseases and disorders. This exhaustive list of diseases and disorders provide some idea of the overall benefit that acupuncture offers. Most health insurance companies also think so and may provide you with benefits each year towards acupuncture treatments. Be mindful however and do your research to ensure that the acupuncturist is a licensed professional in your area. This will ensure they are following the appropriate protocol for needle use and storage, that they know what they are doing and that you will be reimbursed in part or full for the treatment. Much of the theory behind acupuncture is the belief that disease is caused by the disruptions of flow of energy or qi, in the body. Acupuncture releases points on or under the skin, releasing the qi. The qi then travels through channels called meridians. By regaining the balance of energy in the body, a lot of the health problems may be alleviated. In turn, regular acupuncture treatments, couples with healthy living and good work life balance can alleviate many health problems onset by imbalances in the body. This preventative approach to medicine can save you hundred or even thousands of dollars in prescriptions and over the counter drugs down the road. Acupuncture is also commonly used by cancer patients. The chemotherapy used in cancer treatments involves bombarding the body with toxins, poisons and even radioactive substances to kill tumors. There are many patients that have benefited from chemo therapy and there are benefits to this type of treatment. However, side effects to this exposure can lead to nausea, loss of appetite which can result in a lower rate of healing. Acupuncture may help assist patients in regaining enough energy (before and after treatment) to complete tasks like eating, allowing the body to rebuild. Being able to regain energy after its lost has huge emotional benefits to the patient as well as their family. As the body heals, it may be possible for the individual to complete various tasks and reduce the need for additional treatment which can drain energy reserves and cost a lot of money. Depending on your health care plan, acupuncture treatments may be covered to a maximum benefit each year. 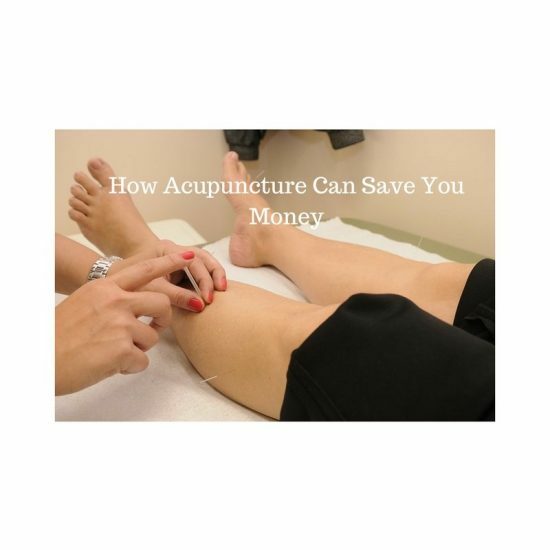 Typically, insurance companies will only reimburse costs incurred by a licensed acupuncturist in your province/state. Contact your plan representative to see if this benefit is provided through your employer health care plan. Make sure you do adequate research to ensure the practice is licensed and the health care professionals are following the appropriate protocol for storing and using of needles. Getting reimbursed for a portion or all the cost of the treatment can amount to huge savings. If you experience any chronic pain, then you may understand the importance of finding relief. One of the benefits that I got from acupuncture (along with massage therapy) is that it relieved much of my chronic neck pain. Because of the longevity of chronic pain, it is possible to be ‘accustom’ to the pain and dismiss treatment. However, chronic pain whether on the neck, back or other part of the body can significantly reduce concentration and impede productivity. Both needed to function effectively in work and play and inefficiencies can result in dollars lost. Most people in North America try Eastern medicine after Western medicine has proven unsuccessful for them. Others may decide to compliment Western medicine with Eastern medicine congruently. 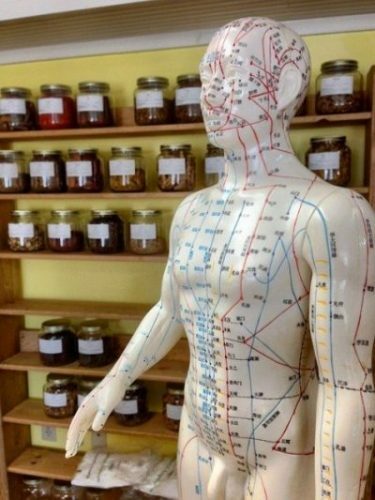 Regardless of the approach, typically treatments like acupuncture and Chinese herbs are much less costly than the costs associated with using modern medicine to treat symptoms. For example, relieving chronic pain through prescriptions or over the counter drugs may be costly in the long run than doing periodic treatments of acupuncture. Continued research and testing is being done to determine whether acupuncture can treat all the symptoms, diseases and disorder claimed. Doctors believe that acupuncture works best for some issues but not others. Regardless, more Americans are looking to other medical treatments to replace or compliment their current medical treatments and Eastern medicine has proven to be a growing contender. At the very least however, there are many cost benefits to acupuncture that can be explored. Also, check out ways to save on life insurance.